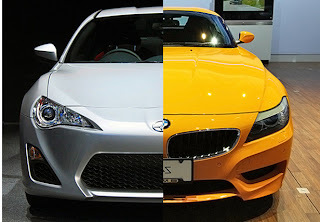 Toyota and BMW announced over the summer that a collaboration was on the table with few details. Toyota, the industry leader for environmentally friendly cars and fuel cells. BMW, the king of luxury and speed. A BMW-Toyota relationship can only lead to... a hybrid sports car! The BMW-Toyota team have also committed to the development of a fuel cell system, collaboration on powertrain electrification and joint research in lightweight technology. With the anticipation of upcoming releases from Audi, Mercedes and Infinit we can only imagine what wonderful hybrid BMW and Toyota will create to compete.